I don’t think I have seen as many large construction cranes as I have seen towering above Manchester at the moment. There are at least fifty of these cranes within a two or three mile radius of the city centre. Most of the cranes are helping to build apartment blocks. At first glance they are an indicator of prosperity. They indicate a construction boom and one assumes that behind that boom there is business confidence. This confidence must be that there will be a return on the investment. Certainly when I travel to a new city it is one of the visible indicators that the economy is on the up. With my interest in everyday peace indicators, I am always interested in these easy-to-see indicators: high fencing indicates insecurity and crime (South Africa); a lot of soldiers and police hanging around indicates a bloated security sector (India); the absence of urban green space indicates a lack of planning (Beirut). 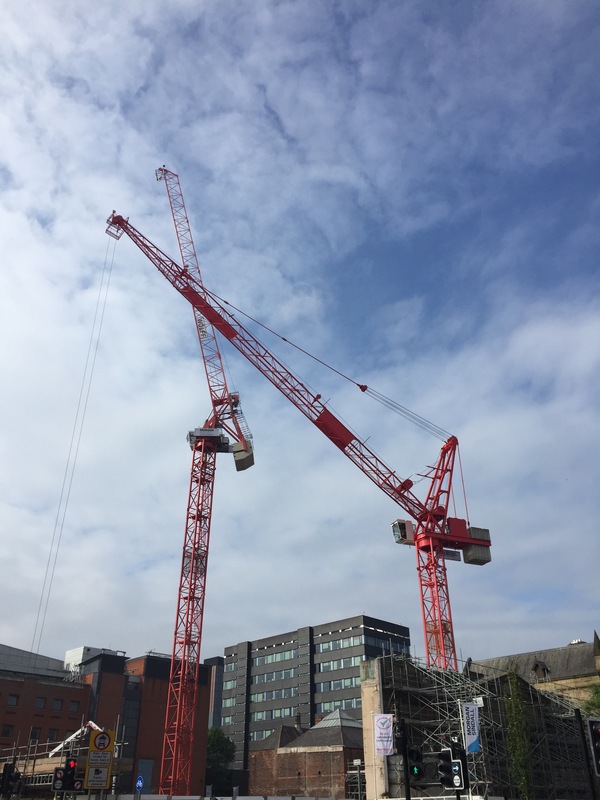 Yet the forest of construction cranes in Manchester are useful reminder of the importance of contextual knowledge that helps ground initial impressions that comes from everyday indicators. There is indeed a construction boom in Manchester, but that does not necessarily mean there is prosperity. 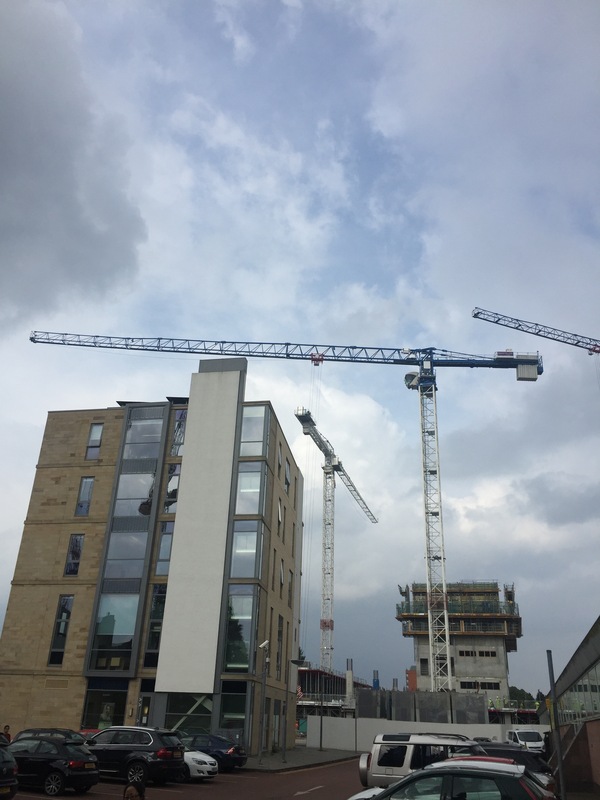 The cranes are part of a speculative boom that is benefiting from low interest rates, lax planning rules in relation to the provision of social housing and, crucially, a massive change in home-ownership rates in the UK. Ever since the 2007/2008 financial crisis, lending institutions have significantly increased the deposit they require from those wishing to buy property. This has had a profound impact on prospective first time buyers and the average age at which people buy their first house has been rising. One survey found that it had risen by seven years since the 1960s. In England the private rented sector has doubled; from 2.3 million households in 2004 to 4.5 million households in 2016. The cranes in Manchester are a speculative boom based on the exploitation of Generation Rent. Indeed many properties are marketed as ‘investors only’. That is, they are not available for sale to owner-occupiers. The key point is that what at first sight seemed to be a straightforward indicator of prosperity masks a much more complex story of exploitation and speculation. It contains a story of a socio-demographic shift in home ownership in the UK, but is also linked to global trends such as interests rates and a surfeit of liquidity among Gulf and Far East investors. This is a useful lesson to us at the Everyday Peace Indicators project. We collect indicators from research sites in communities in South Africa, Uganda and Colombia. Without local knowledge to contextualise those indicators then we risk misinterpreting the indicators. When I read transcripts from the Everyday Peace Indicators focus groups, or look at the lists of indicators, I often wish that I had a local person next to me who could explain what the indicators actually mean once contextualised. There is often a story behind the story and in order to find this out it pays to work with local researchers who are able to help us look beyond first impressions.